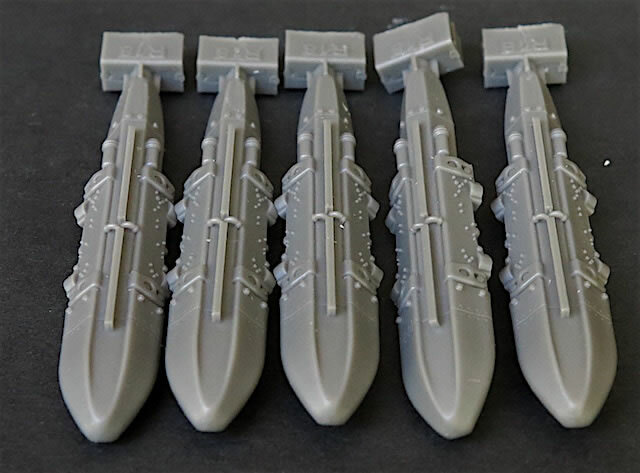 plus shipping available online from Eduard's website and specialist hobby retailers worldwide. 50 grey resin parts; one fret of photo-etched brass parts; one sheet of stencil decals; one double sided fold out instruction sheet. Perfect casting; well detailed; clear instructions. 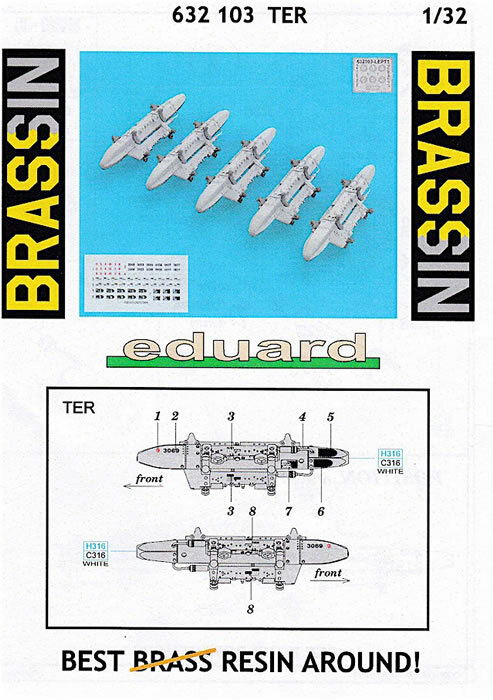 Eduard’s 1/32 TER set will enhance any model you are building that was fitted with this style of ordnance rack. 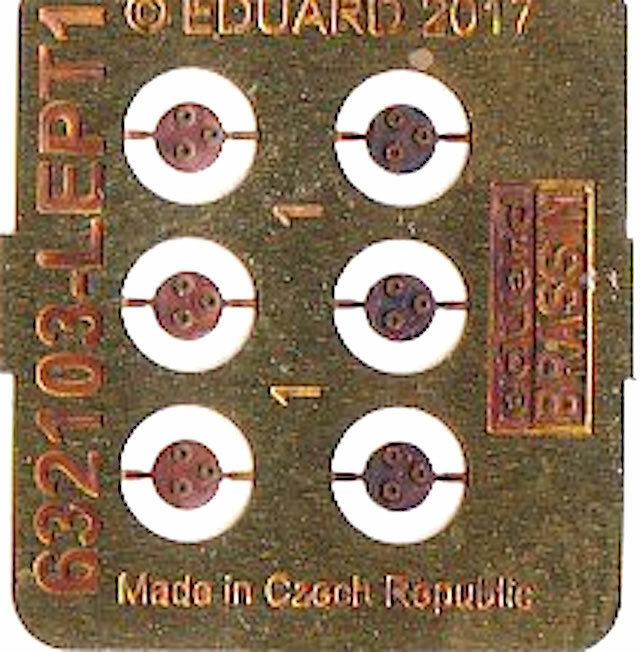 This 1/32 Brassin set provides a set of five replacement TERs – Triple Ejector Racks – for US and NATO aircraft from Vietnam to the present day. I don’t have any relevant kits to use as points of comparison, but I can’t see injection moulded parts comparing with the combination of resin, photo-etch and decals that Eduard is offering here. Each TER is made up from nine resin parts. The racks are cast in a dark grey resin, while the suspension lugs, shoulder and centreline ejector units and sway braces are in a lighter grey. Regardless of colour, casting is flawless and the attachment blocks generally engineered for easy cleanup. The suspension lugs are an exception here, requiring the careful removal of excess resin to maintain their distinctive triangular shape. A couple of spare lugs are included to allow for any mishaps during this cleanup process. 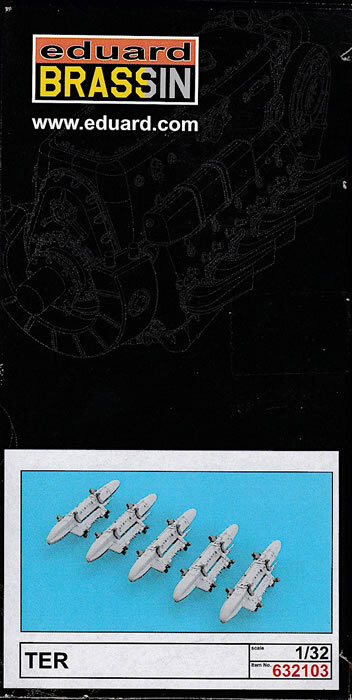 Additional details come in the form of a small photo-etched fret, and a decal sheet with a number of stencil markings. The only things you need to provide yourself are the firing lead cables, which are made from small lengths of wire. 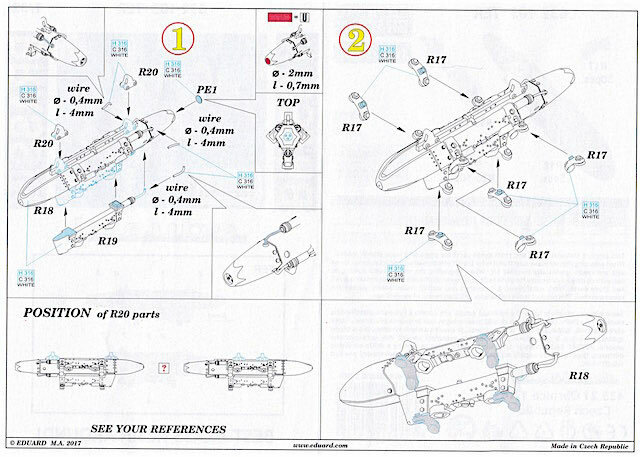 The instruction sheet shows where these should go, as well as providing a clear guide for overall assembly, paint colours and decal placement. 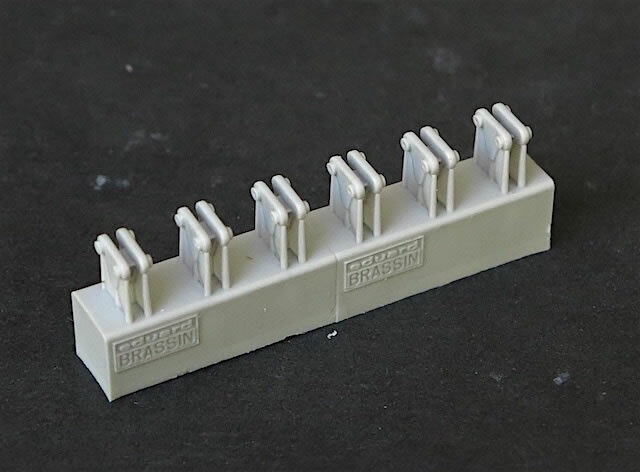 TER sets are also available in the Brassin range in 1/72 and 1/48.